Give your neck the best comfort in travel promo! 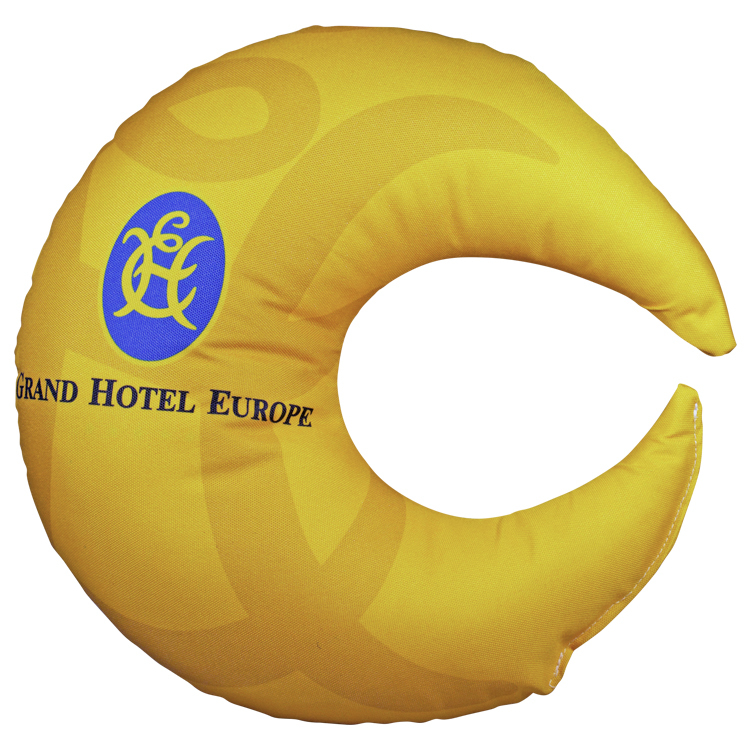 This 600 Denier Polyester Neck Pillow / Travel Pillow will promote a brand during the entire trip. Can be customized with any full color design/logo! Looking to find the perfect promo for schools, sports teams and athletes? 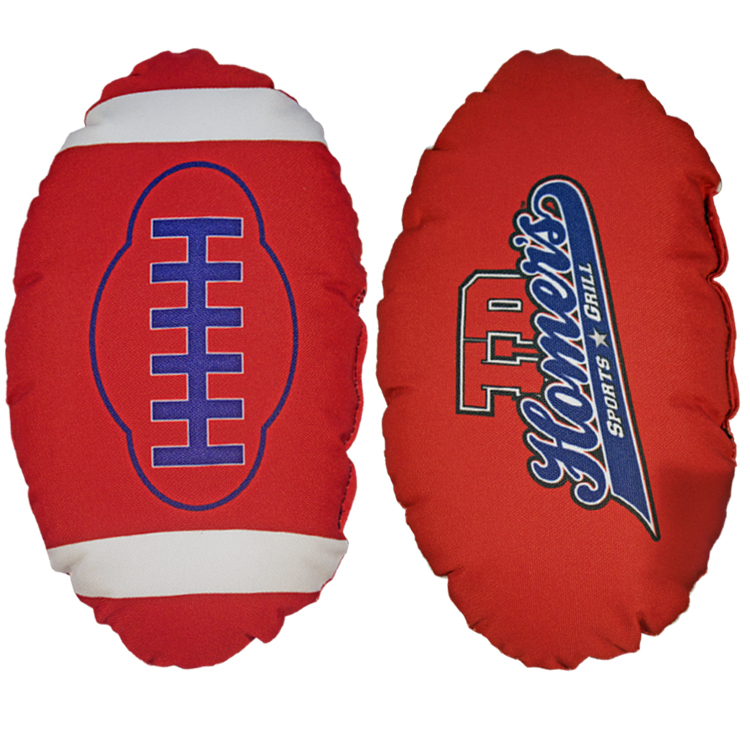 This football shaped pillow is sure to capture their attention!! It can be customized with any full-color design on the front and back. It is made from our comfy + sturdy 600 Denier Polyester. This pillow can be customized with different fabrics and sizes! Pillows are a great, unique promo option for any occasion! 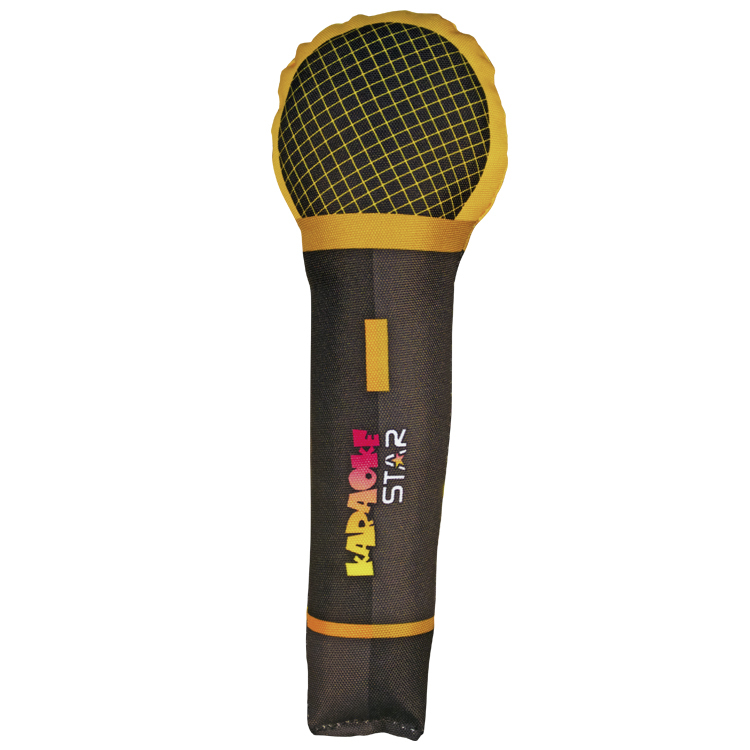 This Microphone Shaped Pillow is a great addition to any promo event! It is unique, eye-catching and will get people talking. It can be customized with any full-color design on the front and back. It is made from our comfy + sturdy 600 Denier Polyester. This pillow can be customized with different fabrics and sizes! 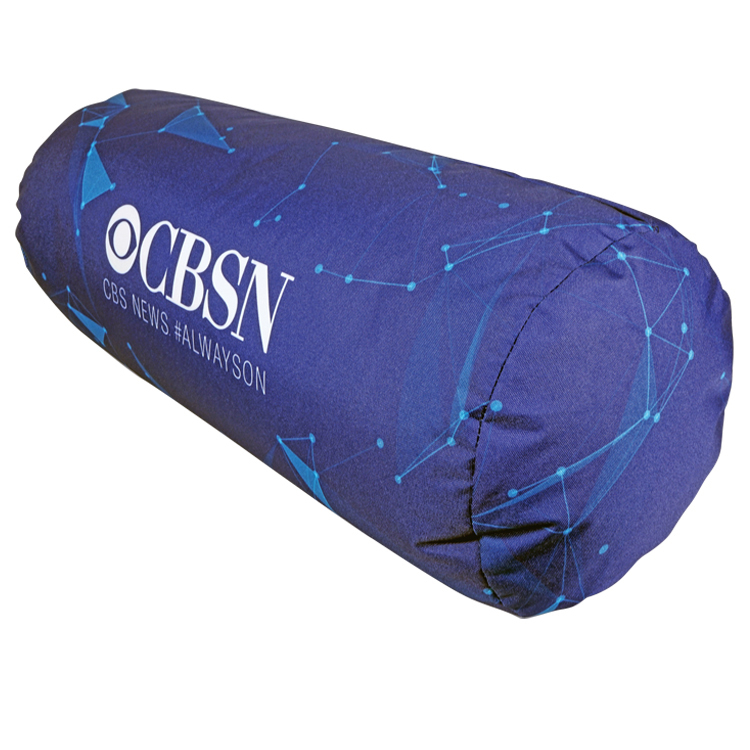 Pillows are a great, unique promo option for any occasion! 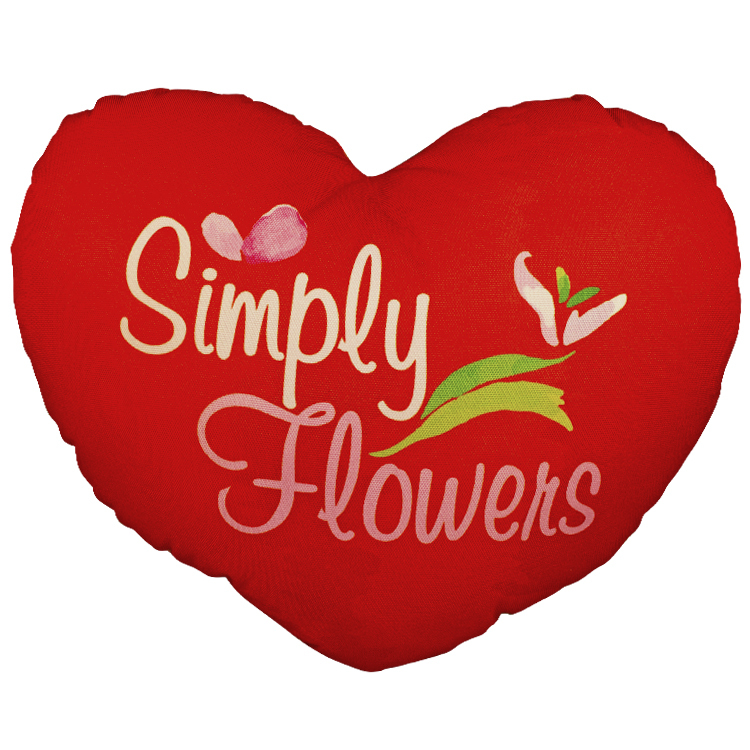 Show you care with our heart-shaped pillow! It can be customized with any full-color design on the front and back. It is made from our comfy + sturdy 600 Denier Polyester. This pillow can be customized with different fabrics and sizes! Pillows are a great, unique promo option for any occasion! 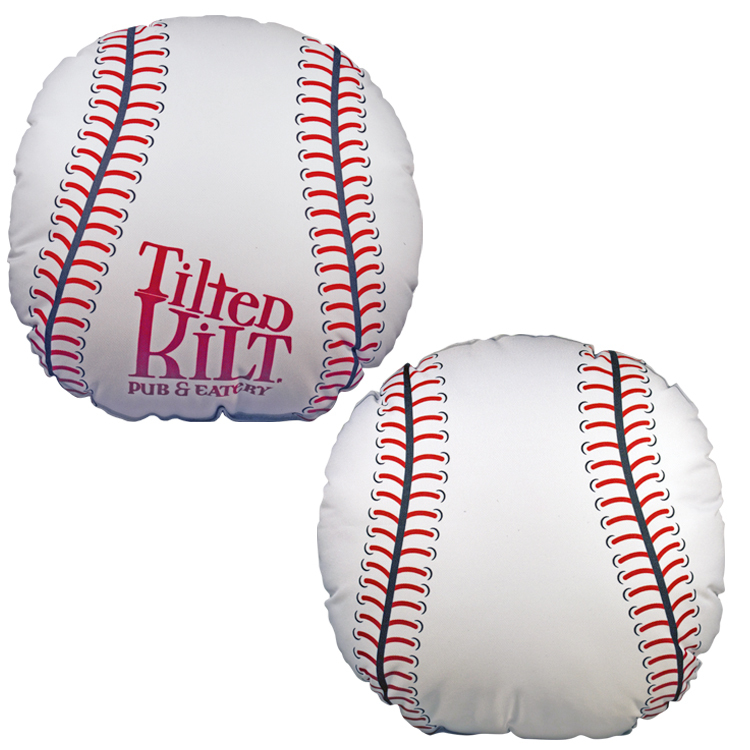 This Baseball Shaped Pillow is a great addition to any sport promo event! It is unique, eye-catching and will get people talking. It can be customized with any full-color design on the front and back. It is made from our comfy + sturdy 600 Denier Polyester. This pillow can be customized with different fabrics and sizes! Pillows are a great, unique promo option for any occasion! 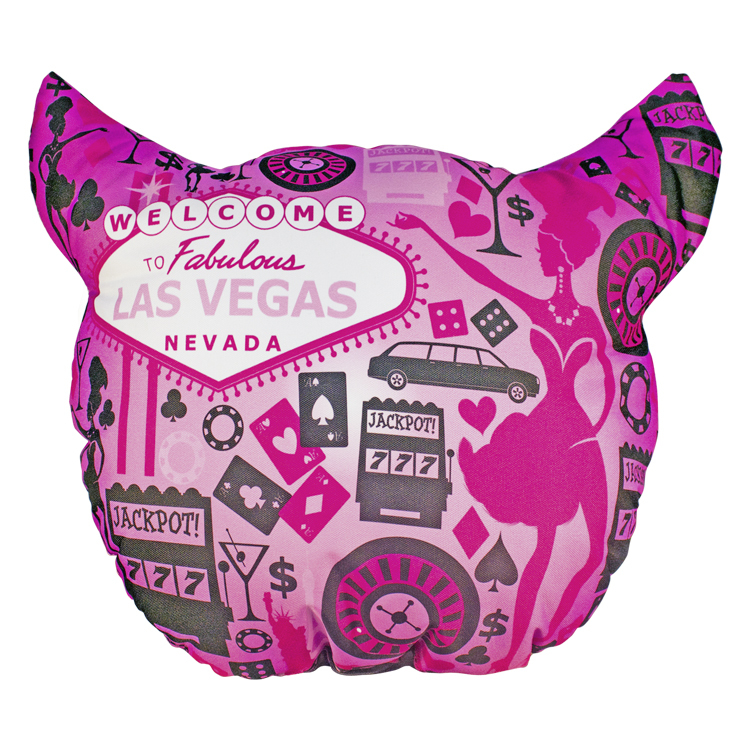 This devil shaped pillow is a great addition to any promo event! It is unique, eye-catching and will get people talking. It can be customized with any full-color design on the front and back. It is made from our comfy + sturdy 600 Denier Polyester. This pillow can be customized with different fabrics and sizes! Pillows are a great, unique promo option for any occasion! 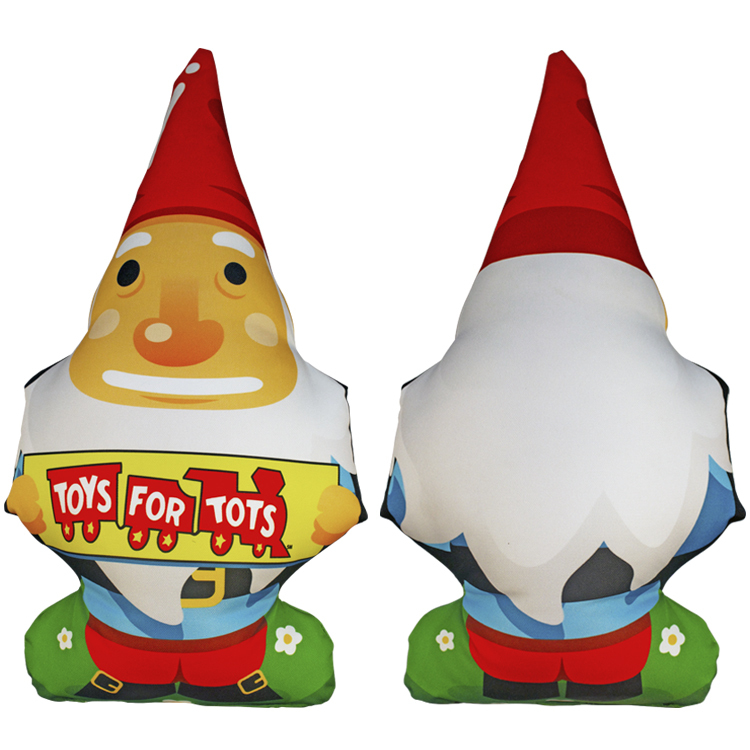 This Gnome shaped pillow is a great addition to any promo event! It is unique, eye-catching and will get people talking. It can be customized with any full-color design on the front and back. It is made from our comfy + sturdy 600 Denier Polyester. This pillow can be customized with different fabrics and sizes! Pillows are a great, unique promo option for any occasion! 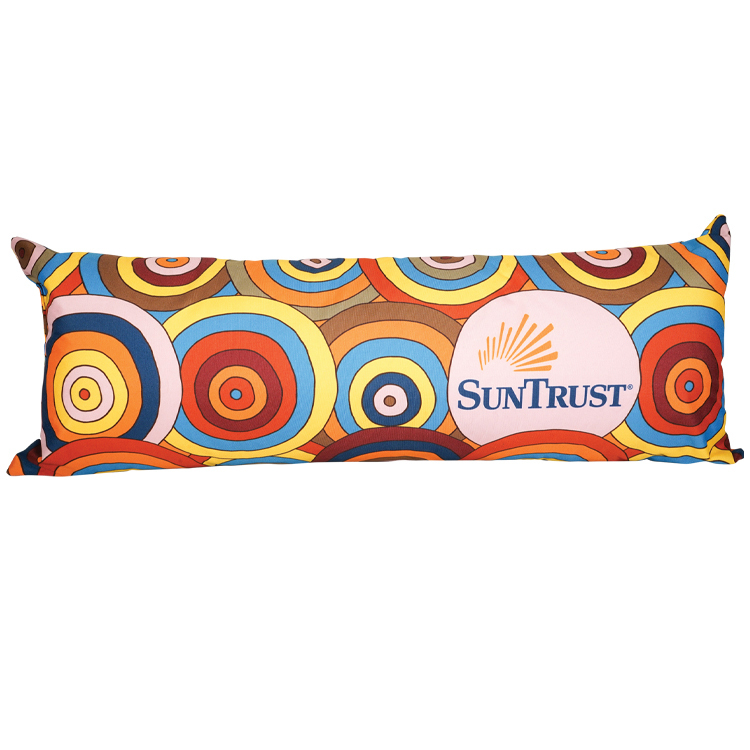 This Moon Shaped Pillow is a great addition to any promo event! It is unique, eye-catching and will get people talking. It can be customized with any full-color design on the front and back. It is made from our comfy + sturdy 600 Denier Polyester. This pillow can be customized with different fabrics and sizes! 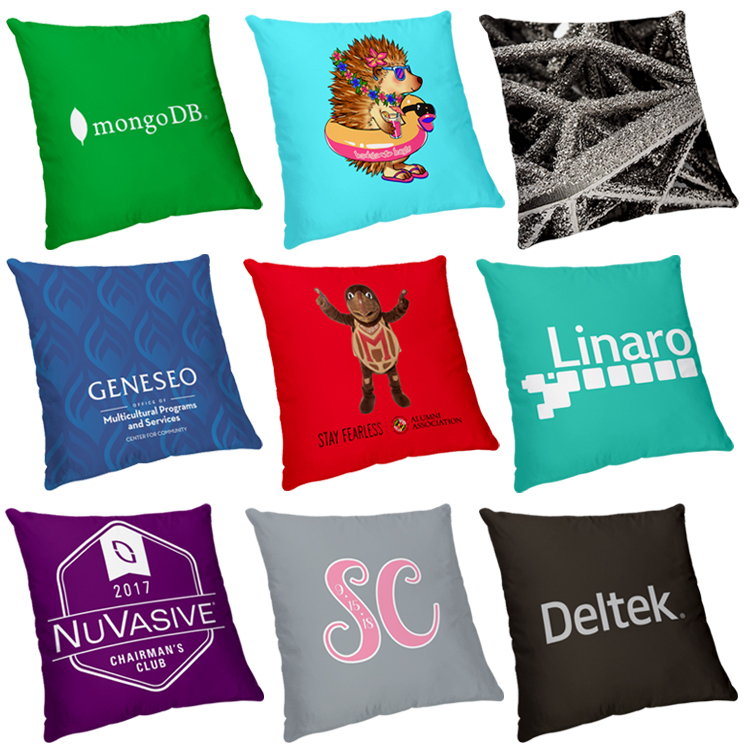 Pillows are a great, unique promo option for any occasion!" What's better than a donut you can eat? 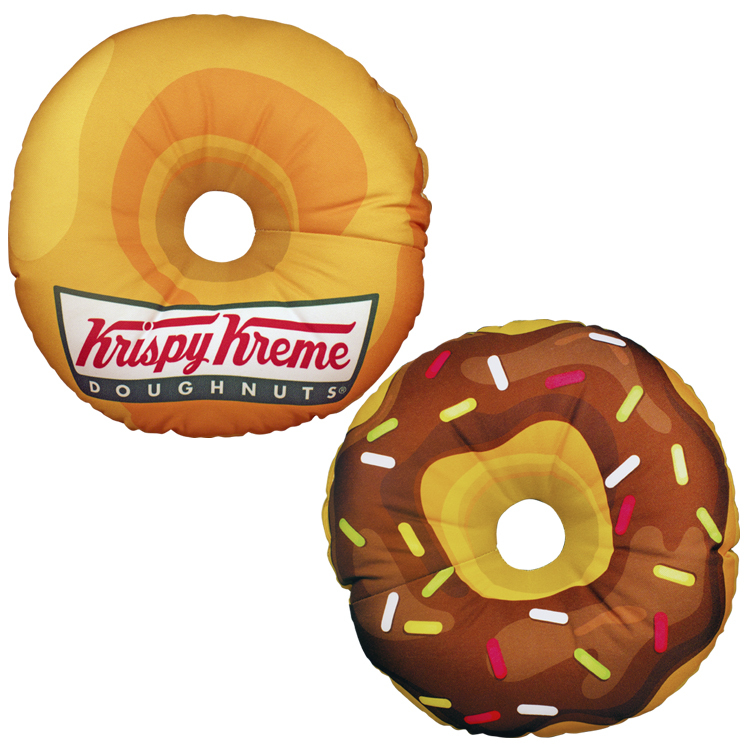 A donut you can sleep on! Want a glazed donut? Chocolate? Pumpkin? We can do it! It can be customized with any full-color design on the front and back. It is made from our comfy + sturdy 600 Denier Polyester. This pillow can be customized with different fabrics and sizes! Pillows are a great, unique promo option for any occasion! 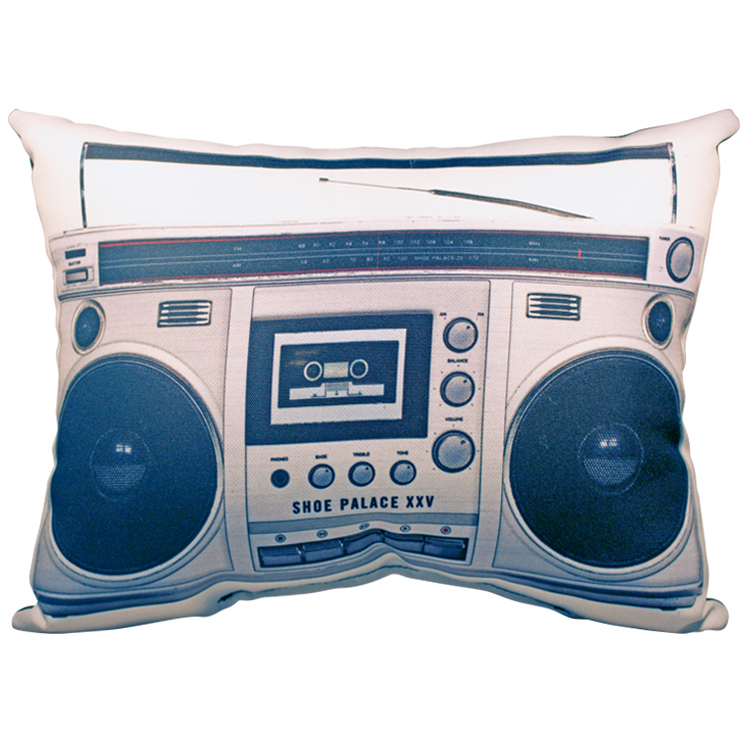 Get the party moving with our Boombox shaped Pillow! It is unique, eye-catching and will get people talking. It can be customized with any full-color design on the front and back. It is made from our comfy + sturdy 600 Denier Polyester. This pillow can be customized with different fabrics and sizes! 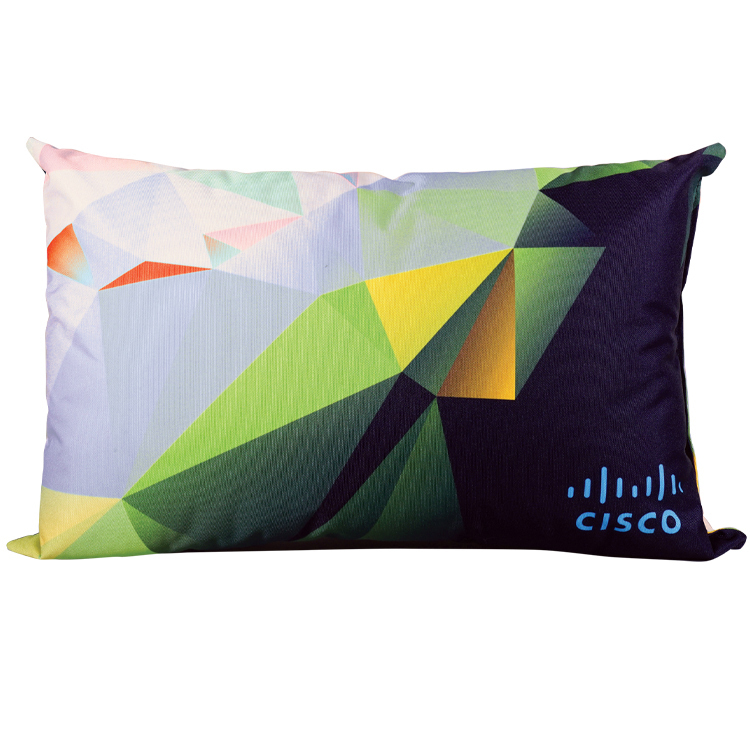 Pillows are a great, unique promo option for any occasion! 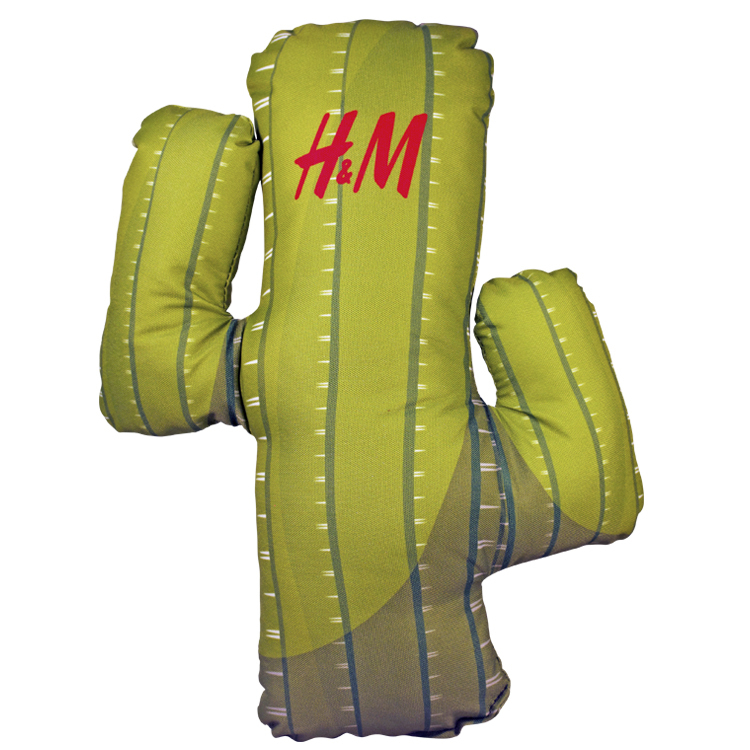 This Cactus shaped pillow is a great addition to any promo event! It is unique, eye-catching and will get people talking. It can be customized with any full-color design on the front and back. It is made from our comfy + sturdy 600 Denier Polyester. This pillow can be customized with different fabrics and sizes! Pillows are a great, unique promo option for any occasion! 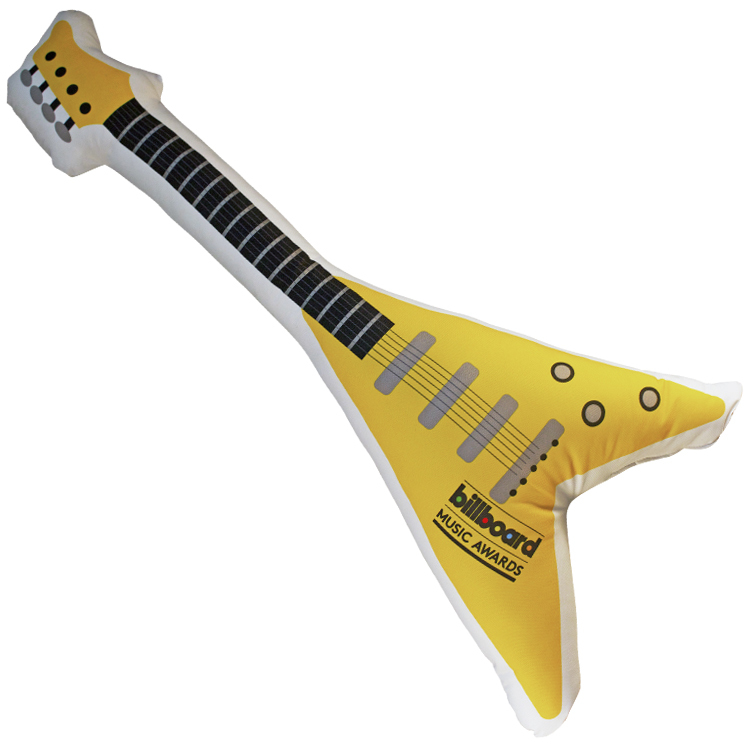 This "V" Guitar Shaped Pillow is a great addition to any promo event! It is unique, eye-catching and will get people talking. It can be customized with any full-color design on the front and back. It is made from our comfy + sturdy 600 Denier Polyester. This pillow can be customized with different fabrics and sizes! Pillows are a great, unique promo option for any occasion! 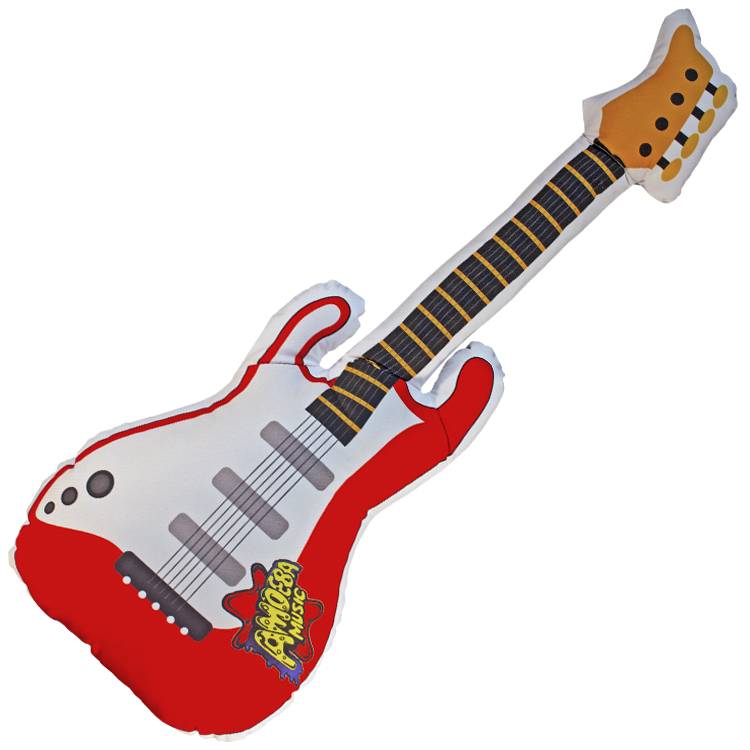 This "S" Guitar Shaped Pillow is a great addition to any promo event! It is unique, eye-catching and will get people talking. It can be customized with any full-color design on the front and back. It is made from our comfy + sturdy 600 Denier Polyester. This pillow can be customized with different fabrics and sizes! Pillows are a great, unique promo option for any occasion! 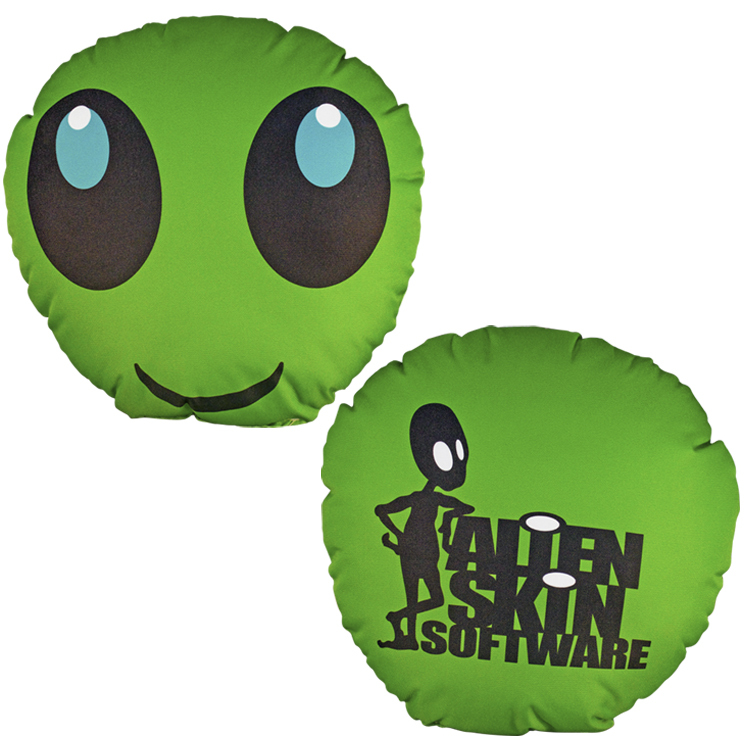 This Alien shaped pillow is a great addition to any promo event! It is unique, eye-catching and will get people talking. It can be customized with any full-color design on the front and back. It is made from our comfy + sturdy 600 Denier Polyester. This pillow can be customized with different fabrics and sizes! Pillows are a great, unique promo option for any occasion! 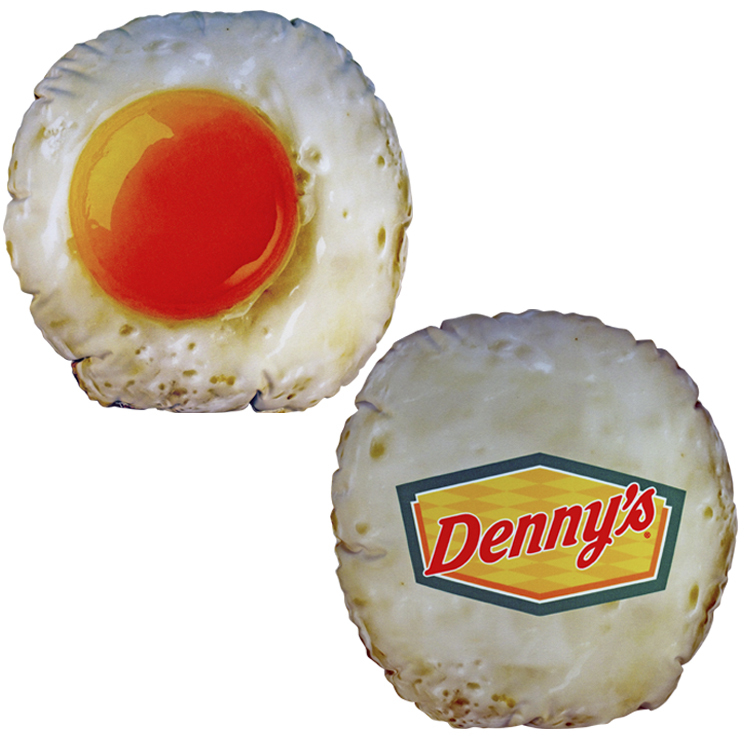 This Egg shaped pillow is a great addition to any promo event! It is unique, eye-catching and will get people talking. It can be customized with any full-color design on the front and back. It is made from our comfy + sturdy 600 Denier Polyester. This pillow can be customized with different fabrics and sizes! Pillows are a great, unique promo option for any occasion! We have turned our favorite, frozen dessert into a pillow! 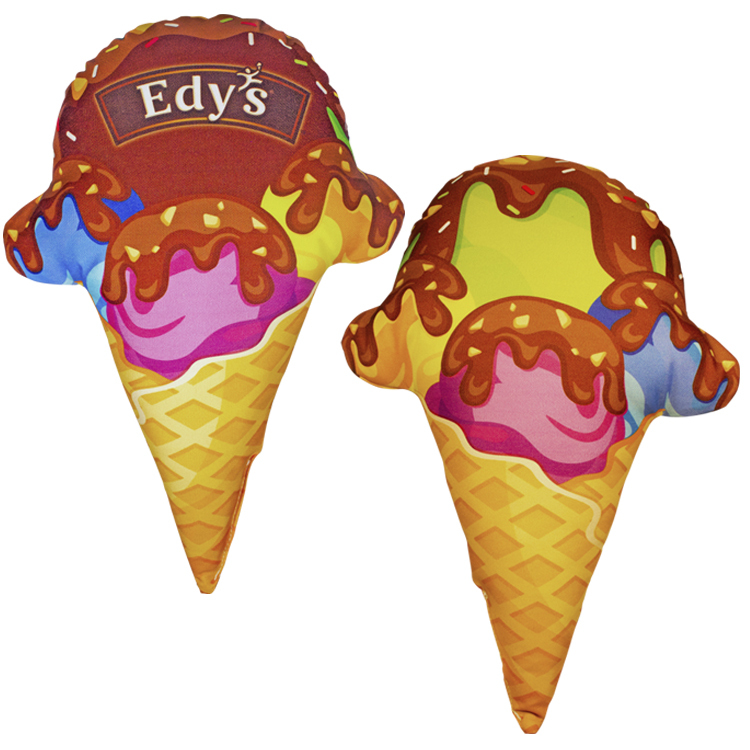 Our Ice Cream Cone Pillow can be customized with any full-color design on the front and back. It is made from our comfy + sturdy 600 Denier Polyester. This pillow can be customized with different fabrics and sizes! Pillows are a great, unique promo option for any occasion! 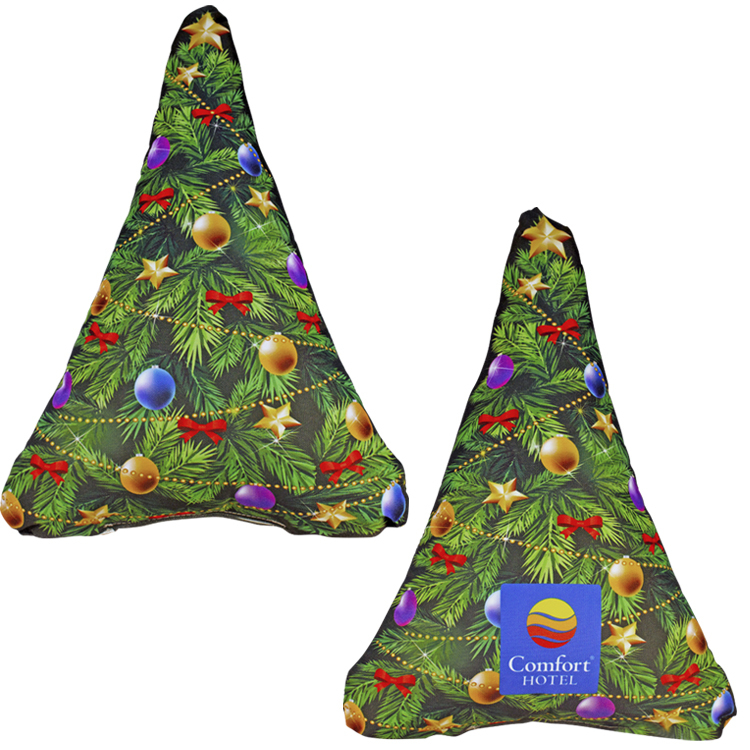 This Christmas Tree Shaped Pillow is a great addition to any holiday promo event! It is unique, eye-catching and will get people talking. It can be customized with any full-color design on the front and back. It is made from our comfy + sturdy 600 Denier Polyester. This pillow can be customized with different fabrics and sizes! 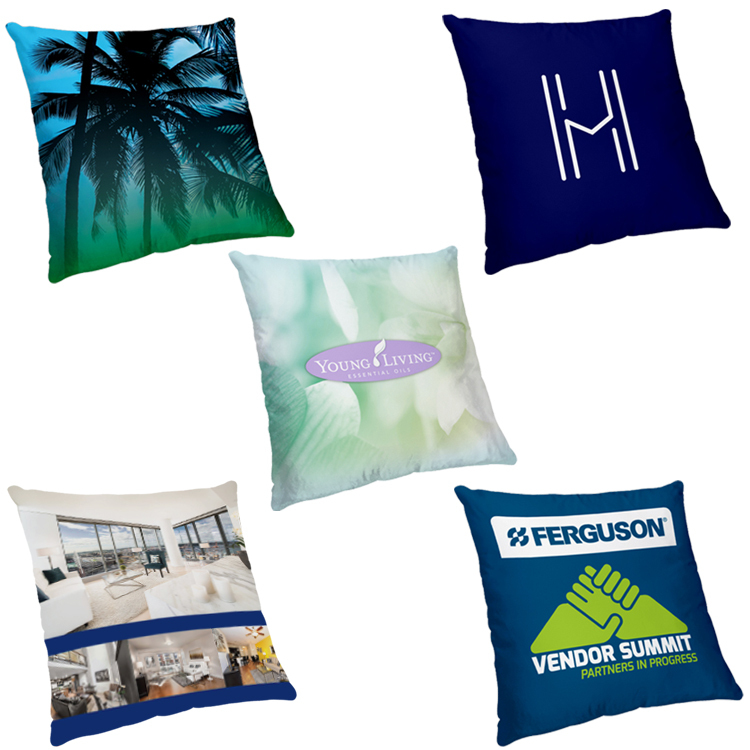 Pillows are a great, unique promo option for any occasion!" 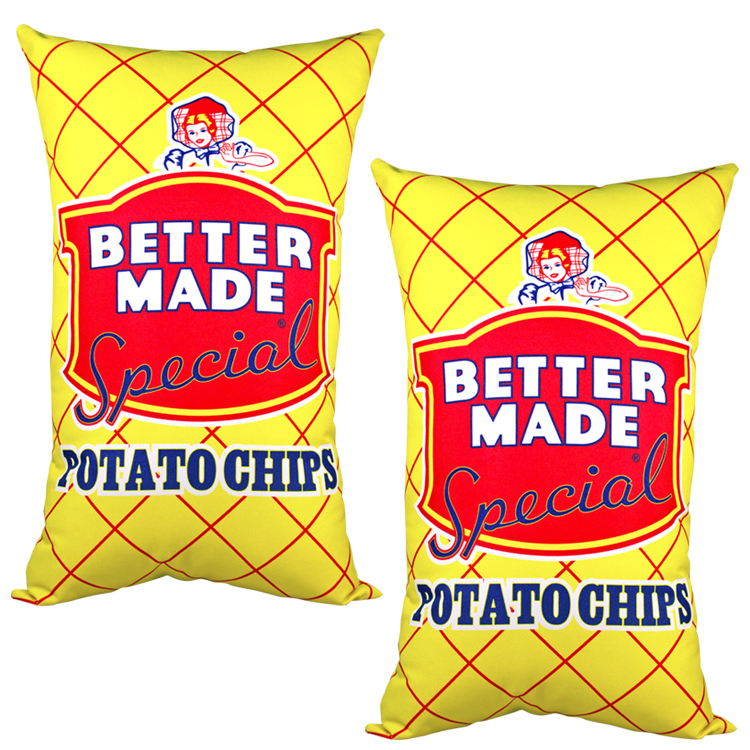 This Bag of Chips shaped pillow is a great addition to any promo event! It is unique, eye-catching and will get people talking. It can be customized with any full-color design on the front and back. 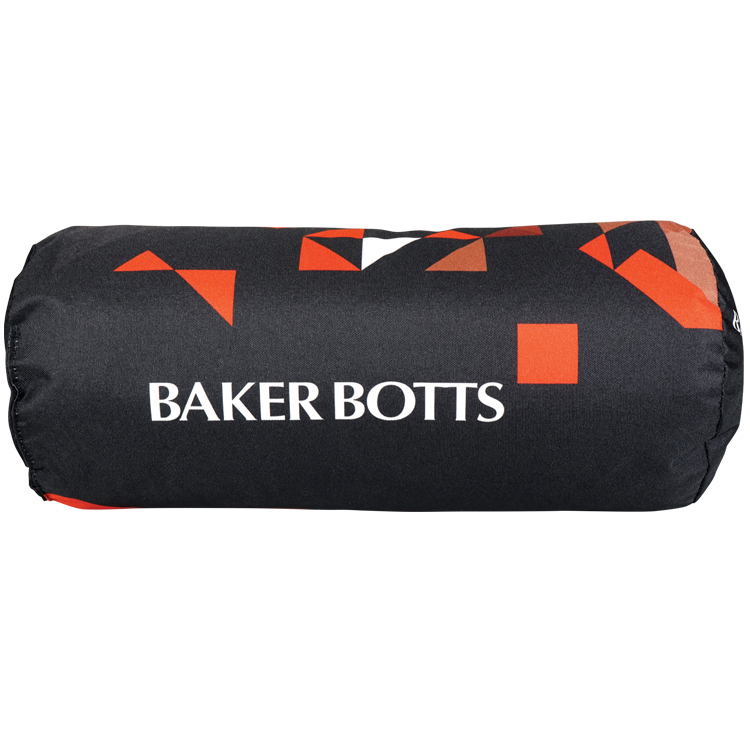 It is made from our comfy + sturdy 600 Denier Polyester. This pillow can be customized with different fabrics and sizes! Pillows are a great, unique promo option for any occasion! 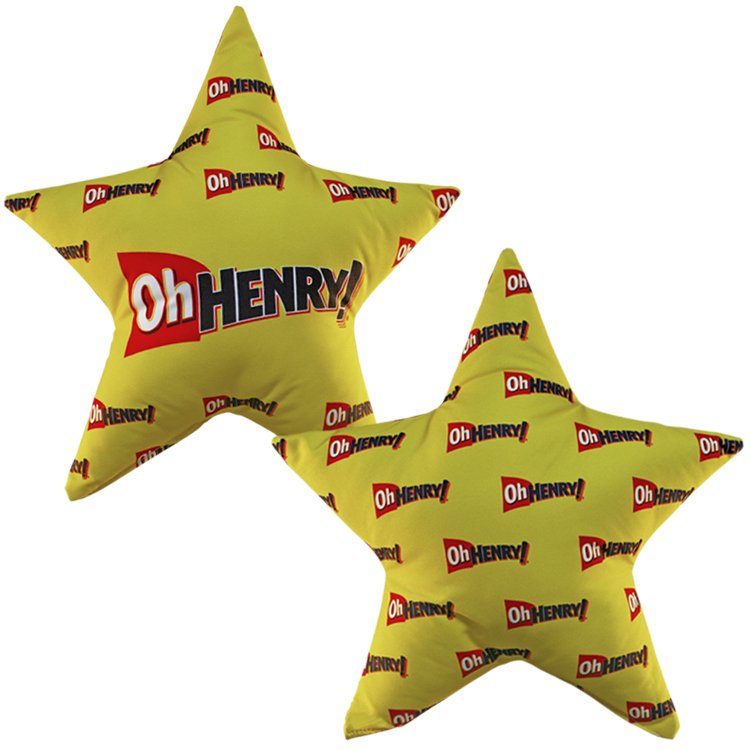 This Star Shaped Pillow is a great addition to any promo event! It is unique, eye-catching and will get people talking. It can be customized with any full-color design on the front and back. It is made from our comfy + sturdy 600 Denier Polyester. This pillow can be customized with different fabrics and sizes! 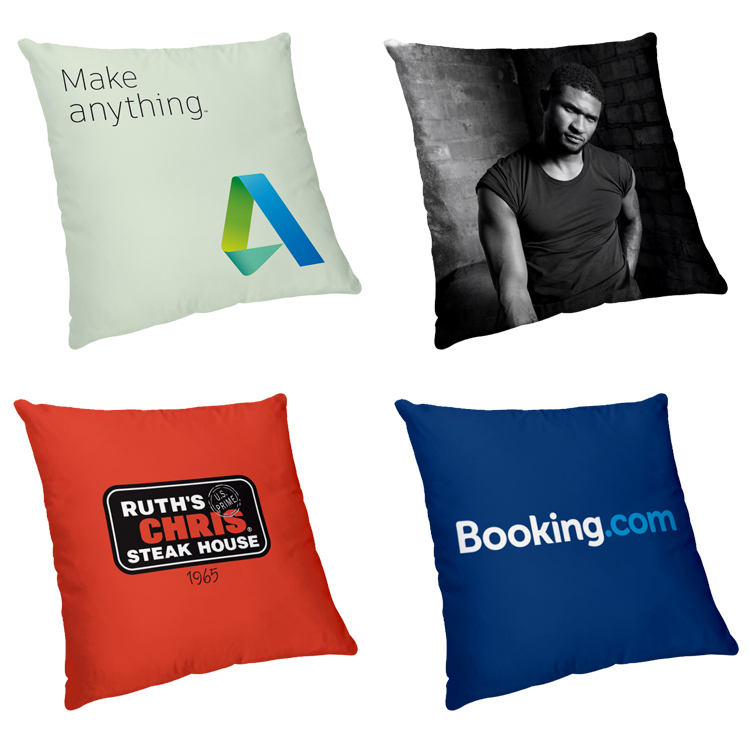 Pillows are a great, unique promo option for any occasion!